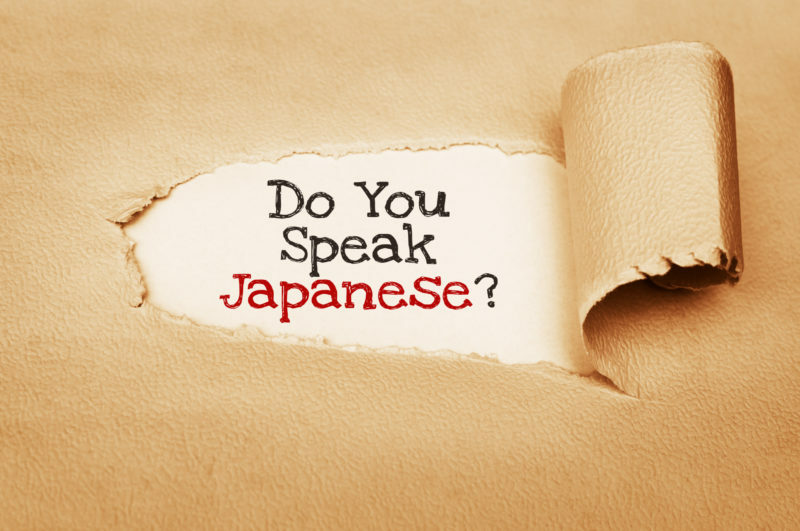 Japanese is ranked as one of the hardest languages for a native English speaker to learn. There are numerous factors that make the language incredibly difficult. The most obvious of which is how the written language is compromised of over 2000 kanji characters. The average individual is expected to know that many to survive their daily life. At the same time, the fundamental grammar patterns are backwards compared to what an average English speaker has always been taught. Japanese uses a subject, object, verb structure. However, one of the hardest aspects to grasp are particles. These are tiny connecting words that map out a sentence in terms which aspect refers to what, and their relationship. While there is no easy way to learn Japanese particles, mastering their usage opens up endless possibilities to sentence construction. The best way to learn Japanese particles is to began with the ones found in common phrases. This article will list out the ten most used particles, and how they are used for specific situations. It includes similarities and difference between specific usage. Starting with the common particle, wa, or otherwise known as the topic marking particle. This particle marks the topic of the sentence as the word or phrase that proceeded it. Any clause that follows the particle is a distribution that relates to the topic of the sentence. This particle alone can be used to construct a complete sentence. This particle is similar to wa, but fundamentally different. Ga denotes the subject of the sentence, and suggests everything that follows is directly related to the word before the particle. It can also be used to connect contracting clauses as the English equivalent of “but” in a conversation. There is a fine line between the usage of wa and ga that often troubles early Japanese learners. They are frequently interchangeable with strong native speaking connotations that even experts may struggle with from time to time. While the previous particles are most frequently used near the start of a sentence, wo is most commonly seen near the end. This is the direct object particle. In the subject, object, verb structure of a sentence, wo is placed before the verb to convey what the verb action is being applied towards. In advanced sentences, wo might sometimes be located near the front of a phrase. This particle is used to display possession towards an individual. It is the equivalent of using “apostrophe-S” in a English sentence. Compared to the previous particles mentioned so far, this one has a linear usage method. It can only be used between two objects. Early Japanese learners find this particle to be on of the easiest to understand. Another simple Japanese particle to grasp is the mo particle. Mo represents “too” or “also in a sentence. It means the previous statement applies to the clause proceeding mo in the sentence, and is most often used for one or two additional clauses in the phrase. Ni is known for being one of the most complex particles for native English speakers to grasp. On the surface it refers to an object in movement such a person through a verb, or the passive approach of simply giving and receiving items with someone. In addition, ni is a location marker of an individual existing in a place. This is one of the most versatile particles in Japanese, who’s usage can even stump expert Japanese learners. Japanese has countless tiny nuances that only its native speakers can truly understand the naturalness of its usage. The de particle has a similar functionally to the previous discussed ni particle, but it has a slight difference. De is used to indicate where an action is taking place, in addition to the date when the following clause takes place. At times it can interchangeable with ni, but it can never denote someone’s existence in a place. This a particle pair that is frequently used in the same sentences. Kara refers to a starting point, such as “since” or “from” in English. While made is one the opposite end of the spectrum with the equivalent meaning of “until” as the end point of something. This is pair is most commonly used when referring to time relatively for the clause in the main part of the sentence. As with the previously discussed mo particle, to and ya are used in a sequential succession for objects that meet the same conditions of the initial phrase. To is used to list out nouns, just as an English speaker would use “and” or “with” in a conversation. Ya is similar but implies the list is smaller and confined to only those nouns listed. Beyond this usage, to has the added benefit of being a quote marker. It can mark the end of another individual’s phrase or where someone ends their thoughts. This makes to one of the more versatile Japanese particles. All the previous particles are found within the sentence proper, but this final pair is placed on the end of the sentence to express an opinion. Ne requires a speech influx to convey its expression of confirmation seeking. It can be used if the other speaking party may not be fully aware of something. While yo is used to express a declaration. This is usually information that the other speaker does not know. Yo also expresses a strong sense of confidence in the proceeding clause. The best way to learn Japanese particles is through the continuous practice of applying them in new scenarios and sentence. It is a language that highly subtle and contextual based, but with practice an English speaker can began to see the formulaic grammar patterns. The easy way to learn Japanese particles starts with small sentences that uses a single partner to convey an idea. Languages are complex things at their core. The words and writing are a reflection of a culture’s history and progress over time. The Japanese languages uses three writing. Kanji characters are very close to their original Chinese counterparts. Hiragana and Katakana are simplified characters that have a built-in functionally to be used on the fly. The heavy usage of particles is an unique aspect to Japanese, but one that makes the writing framework formulaic. There will come a point when the grammar clicks into place for the learner.